Police sergeant William Eiseman, 39, pleaded guilty to perjury and official misconduct on Monday. 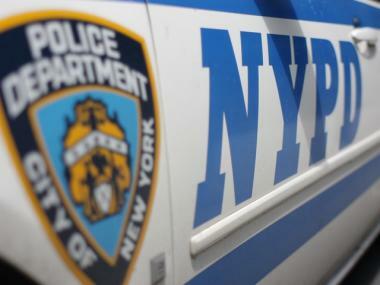 MANHATTAN SUPREME COURT — An outgoing police sergeant pleaded guilty to faking testimony and official arrest records to cover up unlawful searches and arrests in four Upper Manhattan drug and weapons cases. William Eiseman, who agreed to resign from the NYPD immediately, entered the guilty plea to perjury and official misconduct Monday morning. Eiseman, 39, will serve weekends in jail for three months and will be on probation for five years after, according to the deal that was agreed upon by Manhattan Supreme Court Judge Juan Merchan. Merchan said he could not agree to the jail-free sentence Eiseman's attorney had requested because of the alleged conduct — if proven — would show Eiseman "challenged and undermined the entire system." Eiseman admitted to lying on the witness stand during a court hearing about an illegal search and seizure. He also fabricated facts to justify searching vehicles and homes for cocaine, marijuana and guns between 2007 and 2008, prosecutors claimed in court documents. In one case, Eiseman illegally searched the iPhone of a drug suspect parked in a mini-van near 135th Street and Broadway for incriminating photos and then searched that person's apartment for drugs that were illegally obtained and included in an indictment, according to court papers filed by the DA. Police officer Michael Carsey, 30, who's a colleague of Eiseman, is charged with participating in a lie in one of the incidents. He has pleaded not guilty and is scheduled to go on trial on Aug. 29. In court, an attorney for Eiseman, who had also served in the Army, said his client is not guilty of corruption in a traditional sense, that he did not accept bribes or do anything for personal gain. "He has nothing his entire adult life except serve the country and the citizens of New York to the best of his ability," said his attorney Andrew Quinn, adding the lies Eiseman admitted to were part of his "misguided effort" to do his job well. "He was tyring to get guns and drugs off the street," Quinn added. Assistant District Attorney Julio Cuevas said he did not oppose the weekends-only jail sentence but stressed the egregiousness of Eiseman's conduct. "It really attacks the heart of the system," Cuevas said. Eiseman will be sentenced on Sept. 6.